BBC Sport will be screening every final session of the Swim England National Winter Championships 2017 live on their digital platforms. You will be able to watch all five final sessions on the BBC Sport App on Connected TV or mobile, or on the BBC Sport website. 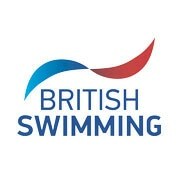 All heats sessions will also be available to watch live on our Live Swimming page. Olympic medallists James Guy, Siobhan-Marie O’Connor and Chris Walker-Hebborn are all competing in Sheffield. The Championships are the final chance for English swimmers to secure consideration times for selection to the team for next year’s Commonwealth Games at the Gold Coast, Australia. Tickets are still available to purchase to attend the Championships from 13 – 17 December. You can also purchase USB memory sticks with full replays of any sessions from Sheffield. Find out more on our Spectator Information page.